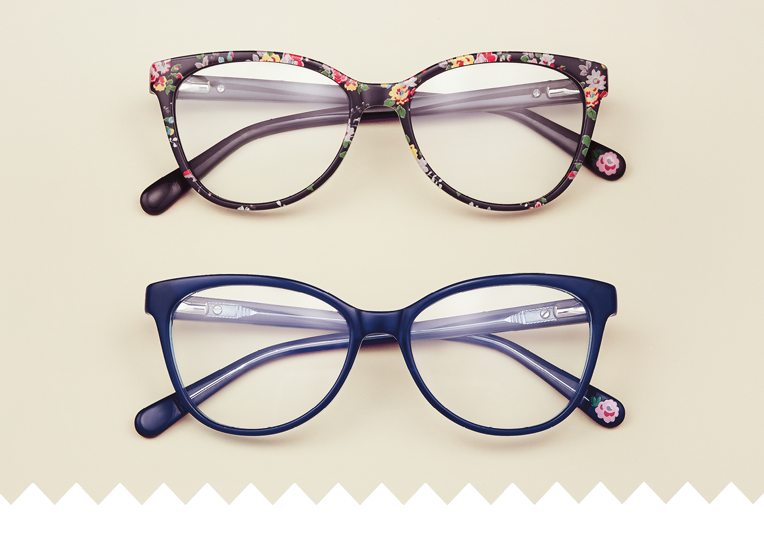 One of the nation’s best loved brands, Cath Kidston is celebrating its 25th birthday this year. 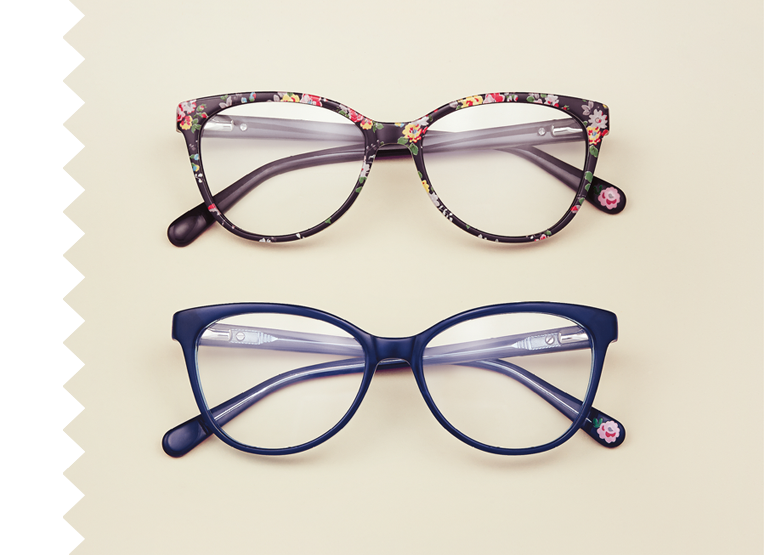 Established in 1993, in London’s Holland Park, Cath Kidston has become synonymous with classic British design and nostalgic style, famous for its unique floral prints and bright, playful patterns. 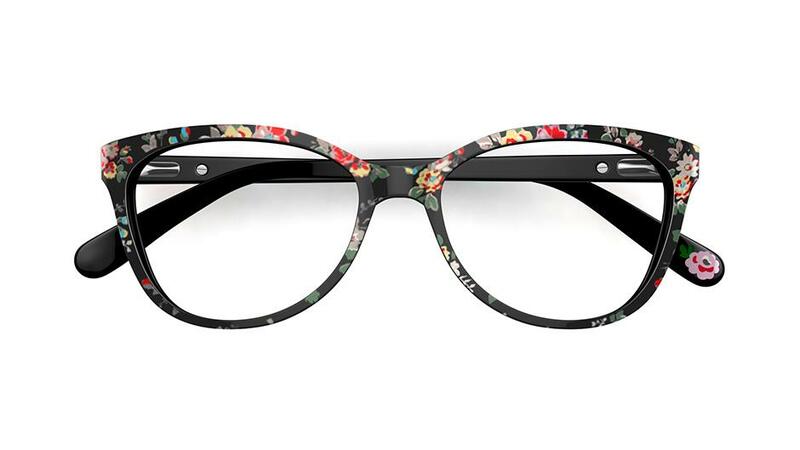 Within Cath Kidston eyewear, you’ll find a fresh take on the brand’s pillars of print design that it has become famous for over the years, including its iconic floral and spot prints. 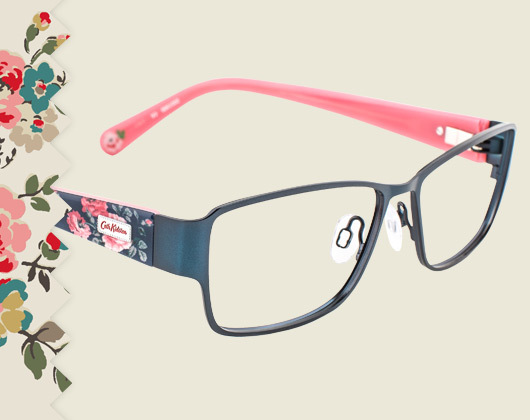 A celebration of Cath Kidston’s British heritage with a dose of fun. 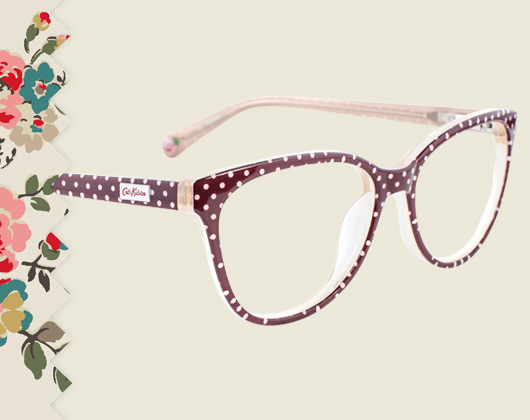 Warm and stylish - brown spot print pairs with a subtle beige interior in this feminine, rounded frame with a hint of cat-eye. 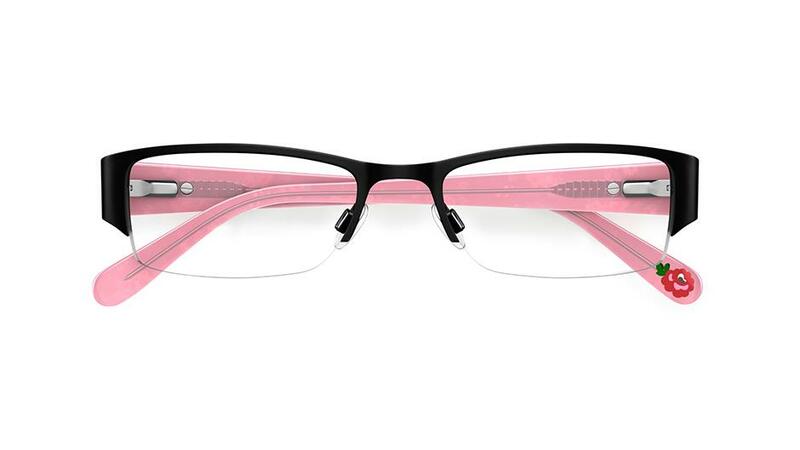 Finished perfectly with a signature rose motif on the inner tip. 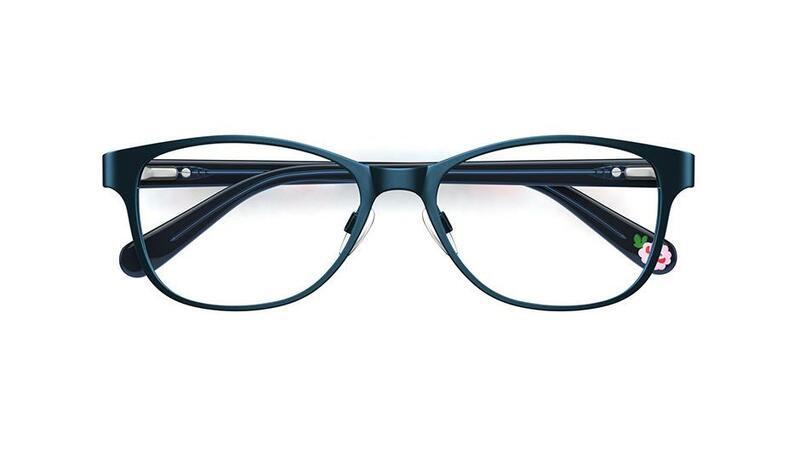 Subtle and feminine, this square frame in smoky grey has a translucent interior to really bring out your eyes. 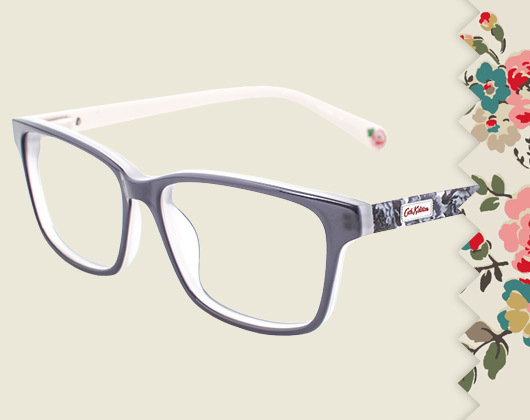 The iconic rose print design features on the sides in greyscale for an understated yet effective look. 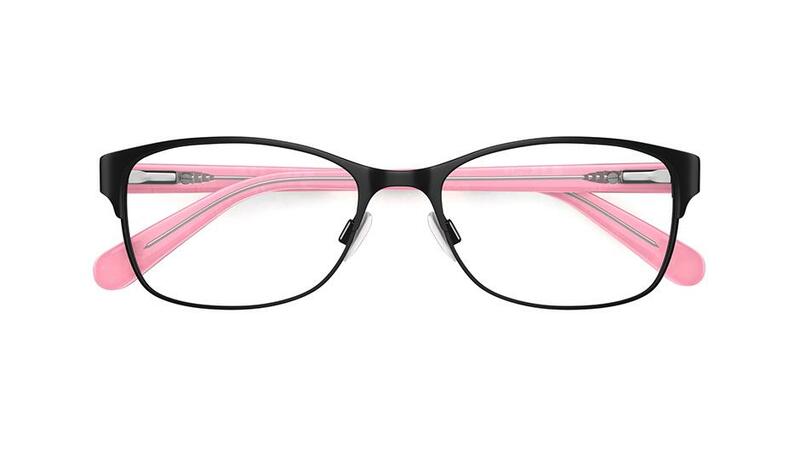 The satin blue metal front and powder pink acetate interior of this angular frame perfectly highlights the colours within the striking rose print found strewn across the temples. 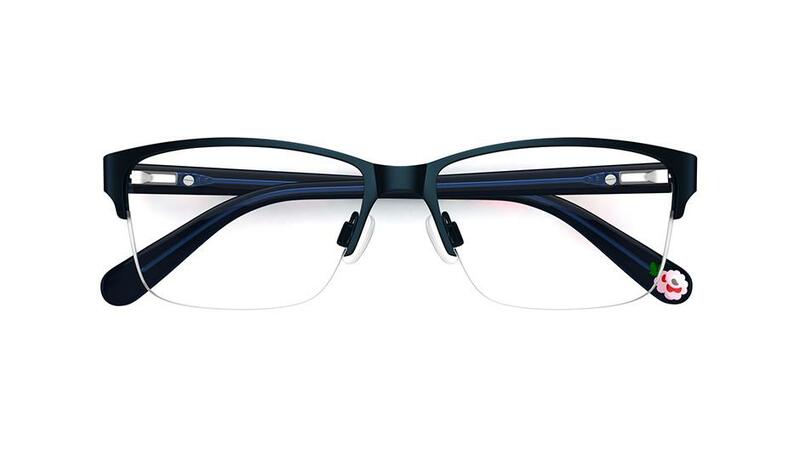 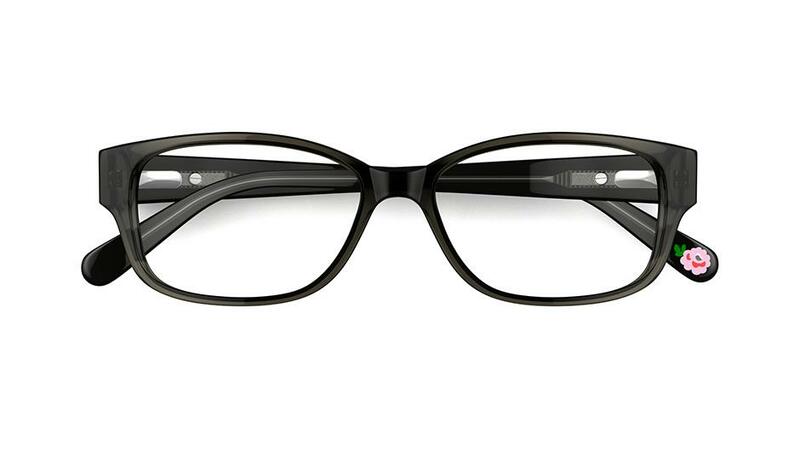 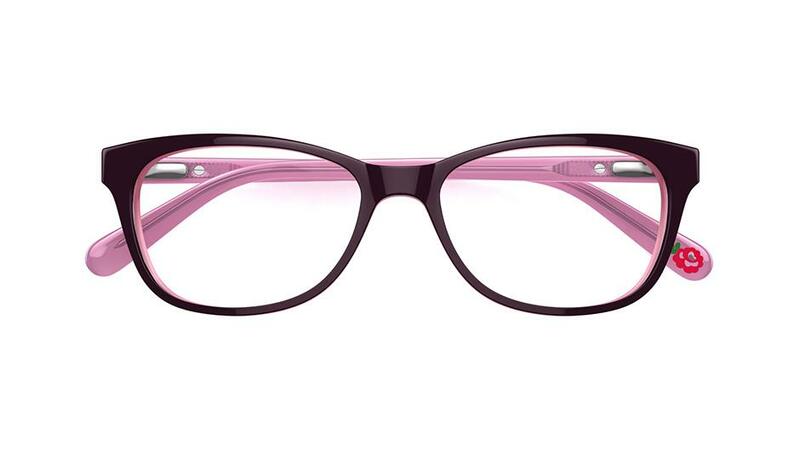 Brighten up a classic look wearing this upswept frame. 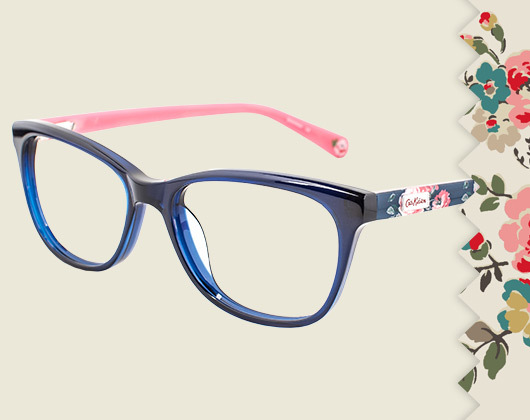 A midnight blue front with a pretty pink interior matches the iconic Cath Kidston floral pattern adorning the sides.